Kinkaku-ji temple (the Golden Pavilion) in Kyoto, Japan. 4k00:13Scenic landscape of famous landmark and Unesco site of Kyoto, Kinkakuji or Rokuonji. 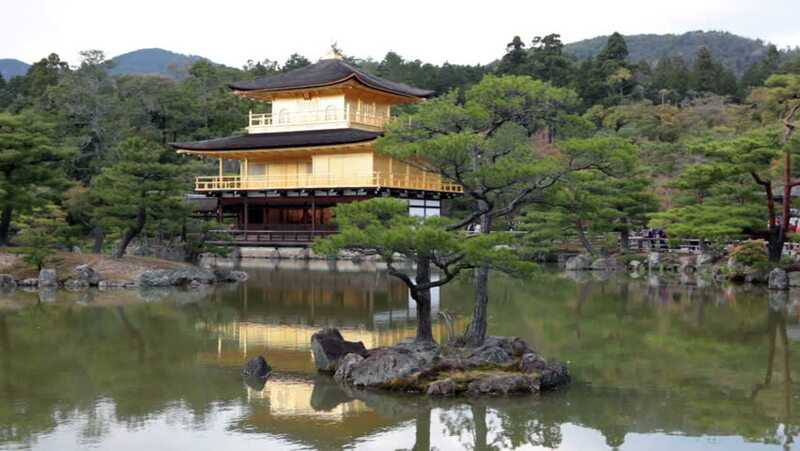 The Golden Pavilion, whose top two floors are completely covered in gold leaf, is a Zen temple of Rinzai sect. 4k00:11Kinkaku-ji, Golden Pavilion, famous buddhist temple zen of Rinzai sect in Kyoto reflected in the lake. The Rokuonji is one of most visited Kyoto temples. Concept of Buddhism and meditation.